“There’s a land of wide-open spaces, so many, many, many faces… Share the culture I say, only then will you know your way. The interesting and diverse cultures of the people of Namibia – their customs, traditions, languages and beliefs – have fascinated visitors for centuries. Hailing from our smallest population group, the Setswana, local musician Elemotho knows all about the importance of promoting culture, and is one of Namibia’s best-known cultural patrons. He lives to share musical melodies on Namibia’s richness in cultural and natural heritage – which led him to explore the African continent, and spend time in Paris earlier this year as winner of the Radio France International Discovery Awards. So, pack your tent – whether the rooftop or ground variety – and hop into your car, preferably a 4×4, as it will take you the extra mile. Explore and enjoy Namibia’s wonderfully diverse culture. 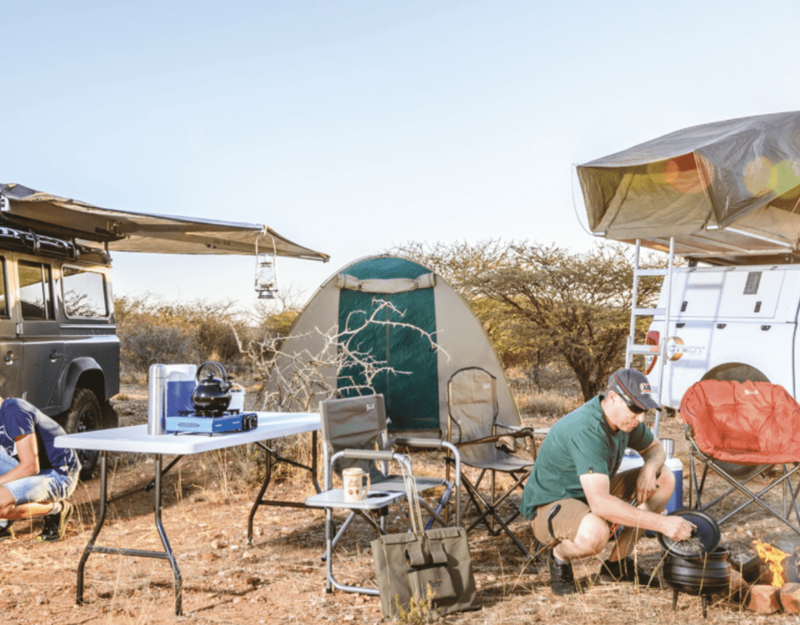 Here’s a list of community-based camping spots, including some for self-caterers, for you to connect to the people of Namibia. So what are you waiting for? It’s the season for exploring, after all! 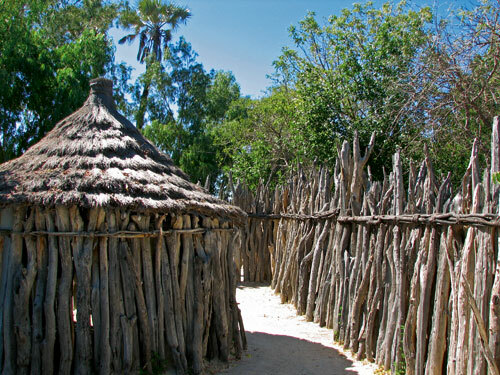 The Nakambale Museum and Restcamp is in the village of Olukonda, 14 km south-west of Ondangwa. The Omauni Community Campsite is located at the Centre for Sustainable Forest Management, east of Okongo. The Ombalantu Baobab Tree Campsite is situated on community land behind the brightly-painted open market in Outapi. 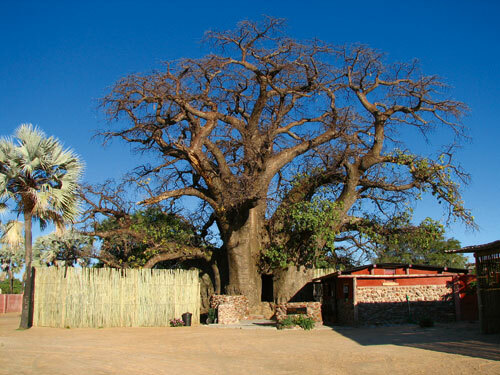 It is a heritage site with a large baobab tree at the centre. Hippo Pools Campsite, 12 km west of Ruacana, has shady campsites situated under leadwood and mopane trees, with superb views over the Kunene River. 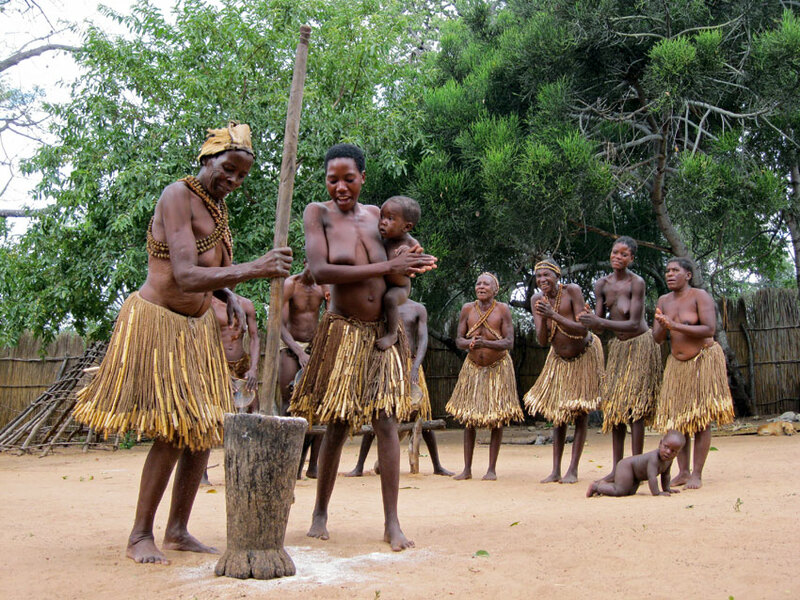 The Uukwaluudhi Traditional Homestead in Tsandi, the former home of King Josia Shikongo Taapopi, presents an opportunity for guests to visit a traditional Owambo palace. Nestled between the huge boulders in the magnificent mountain world of the Spitzkoppe is the Spitzkoppe Rest Camp. Located on the banks of the Ugab River between Khorixas and Uis, Ozohere Campsite is located in and around huge boulders under shady trees. Kambahoka Restcamp is situated next to the Aminuis saltpan, 180 km south-east of Gobabis. Kambahoka. Ismael at the holy fire. 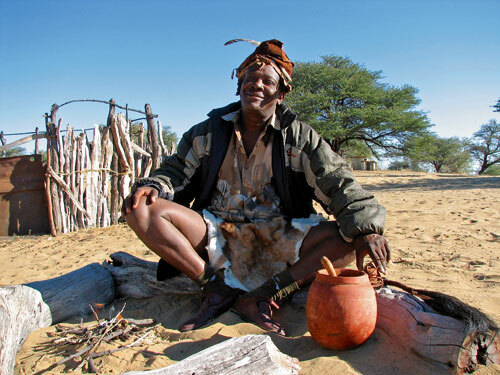 For a good Bushman/San experience in the extreme east of Namibia, visit Sãa Ta Ko close to the Botswana border. Boiteko Campsite, positioned at the top of the hill within the Epukiro Roman Catholic Mission, is part of the Tswana village, Metsweding. For those travelling to Bushmanland and the Tsumkwe area via Gam, Kaumbangere Restcamp located 5 km south of Otjinene is a good stopover. Situated off the C44, 87 km on the way to Tsumkwe, Omatako Valley Restcamp is a !Kung Bushman/San community campsite. 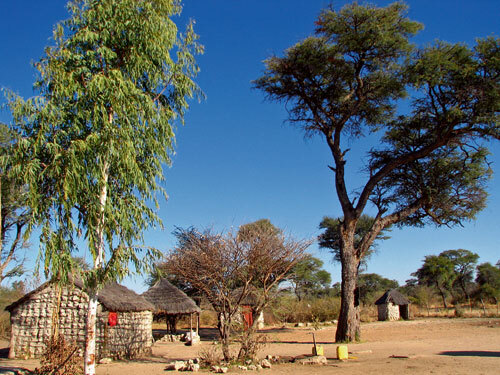 South-east of Tsumkwe, Djokhoe Campsite is strategically positioned close to the Holboom baobab tree. Further east the Mukuri Campsite can be found in an area that hosts several pans, attracting birds and wildlife. 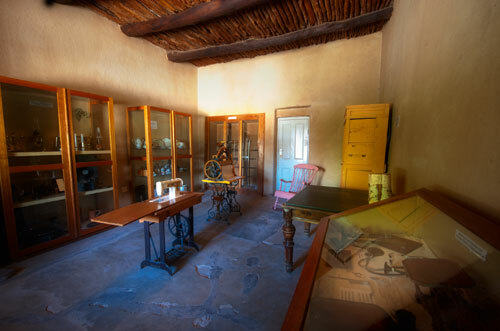 The Living Museum of the Ju/’Hoansi San provides an opportunity to view, participate and learn about this subgroup of the San. 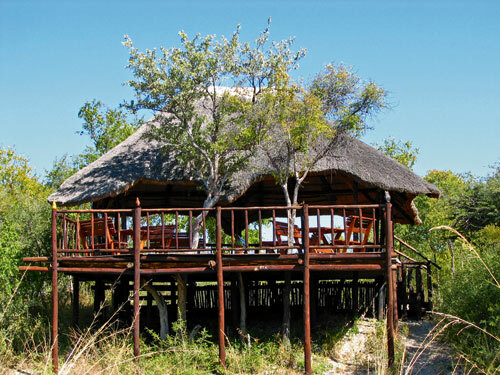 Mbamba Campsite has reed-walled lapas located on the banks of the Shamangwe tributary of the Okavango River. N//goabaca Campsite is situated next to Popa Falls, a series of rapids in the Okavango River. In the Bwabwata National Park is the Bumhill Campsite, positioned on the Kwando River banks and accessible only by 4×4 vehicle. Also in the park is Nambwa Campsite on the banks of the Kwando River. 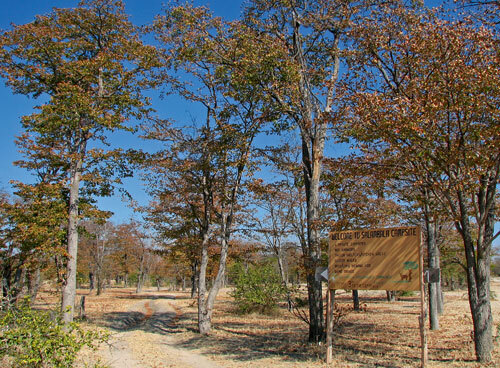 Salambala Campsite is situated in mopane woodland next to a small pan and waterhole. Mafwe Campsite, another community campsite managed by the Living Culture Foundation, overlooks the Kwando River. 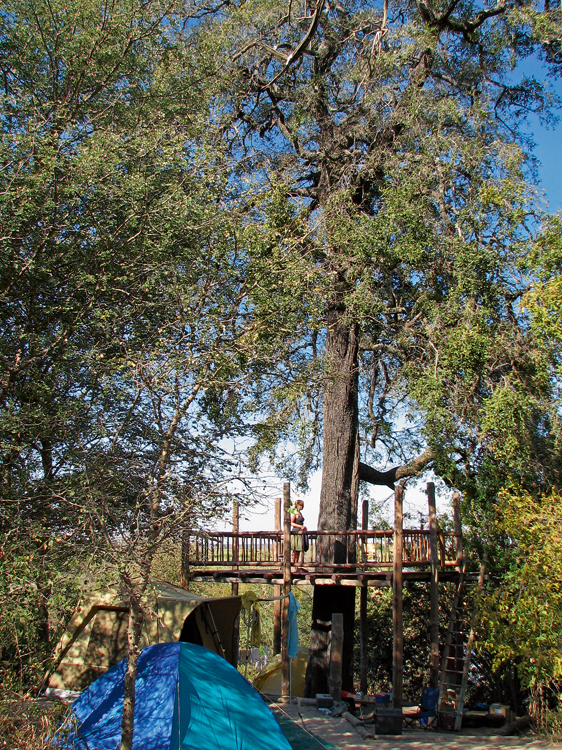 Treesleeper Camp can be found in a tamboti, leadwood and buffalo-thorn woodland, with wooden decks built in the trees for optimal wildlife viewing. 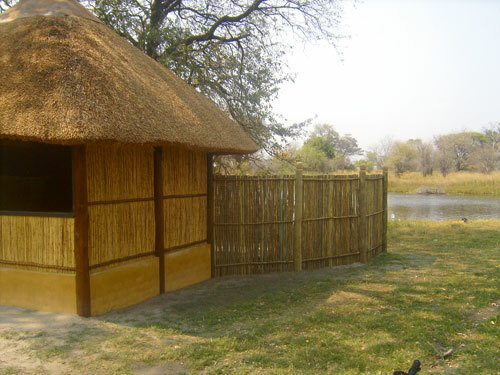 Near the Mamili National Park is Wuparo Campsite, each site with its own reed and thatch ablution facility. Bruckaros Campsite offers camping in beautiful mountain surroundings near Berseba. In the very south of the country, Warmbad Hotsprings Lodge provides an interesting historical and cultural stopover. Garies Restcamp gives a glimpse into Baster hospitality in an otherwise undeveloped area. Situated in a scenic rocky mountain area, the sites at Snyfontein Camp overlook an attractive section of the Fish River. ≠Nudi Campsite is set amongst quiver trees and dolerite rock formations in the !Knob !Naub Conservancy. Situated north-east of Tses is Ganigobes Campsite, a basic facility affording views across a riverbed. Goamus Campsite is situated in the striking mountain landscape of Gibeon, a historical area where the Nama fought against and hid from the Germans. Located in Maltahöhe, //Hai-Sores Campsite comprises six sites and several demonstration Nama huts. Hoachanas Campsite, 53 km from Kalkrand, can be found in the Hoachanas settlement, a historically important location for the Nama people. Aba-Huab Campsite is a busy, bustling campsite located 9 km from the Twyfelfontein engravings. Doro !Nawas Granietkop Campsite, 20 km south-east from Twyfelfontein, offers exclusive, private sites in alcoves created by massive granite boulders. 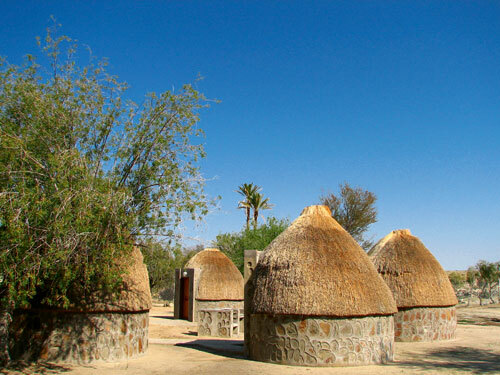 Situated near the town of Kamanjab, Hoada Campsite is surrounded by yellow grass and mopane trees, positioned among boulders and regaled by birdsong. Khowarib Campsite is perched on a hill surrounded by mountains overlooking a dry river course. Figtree Campsite is a facility consisting of four large sites in a grove of old sycamore fig trees surrounding one of the six Sesfontein springs. Positioned against a mountainside between huge granite-gneiss boulders, is the Kanamub Mountain Camp. Puros Campsite is positioned on the banks of the Hoarusib River, prime stamping ground of Namibia’s desert-adapted elephants, which often wander through the campsite. 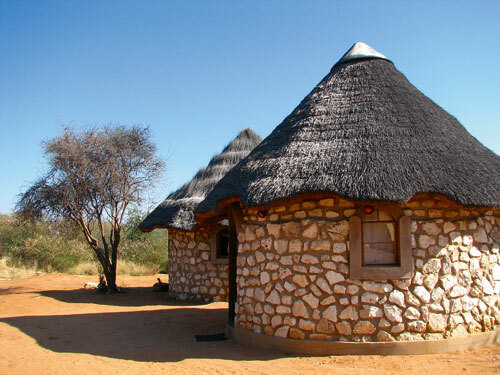 Providing affordable self-catering accommodation in the area, Puros Bush Lodge has Himba settlements close by. Situated on the riverbank of the Khumib, Marble Campsite is an attractive and well-equipped facility that represents a veritable oasis in the rugged surroundings. The Okarohombo Campsite is situated under giant ana trees in the remote Marienfluss Valley along the Kunene River, with the mountains of Angola looming on the other side. At Epupa Falls Campsite, spread out beneath waving makalani palms, water rushes toward the falls and a fine mist cools the air. The Van Zyl’s Pass Campsite is only for those who are extremely well prepared for negotiating difficult and rough terrain. House on the Hill is a self-catering stone cottage situated on the hill adjacent to Marble Campsite. I want to pack up and travel NOW! Do you have any contact details available for these campsites? It would be great to share with travelers to Namibia and local folks alike. YAY. That is the response we are looking for! For contact details, browse our WHERE TO STAY section, by clicking the drop-down menu and going through the Camping (right at the bottom of the drop down menu). Here you will find some of the info you need. Alternatively, search via our website for information, or contact the facilities directly (most information is available through Google search). Best of luck, and don’t hesitate to share your stories and adventures with us. My Name is Meke, owning a tour facilitating company in Namibia. We will be more than happy to assist you with all bookings, ranging from car rental to the campsites. In addition we will assist with maps and route descriptions. Please feel free to contact us on info@ecotours-namibia.com.